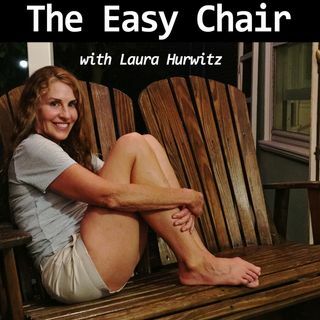 This week on The Easy Chair, I read Miranda July’s brilliant, quirky short story “Roy Spivey”. It’s about an uncertain young woman who through being “a pushover” finds herself with a first-class upgrade, only to be seated next to a major heart-throb celebrity on a cross-country flight. From their casual flirtation, some very interesting things happen, and ultimately this serendipitous encounter changes her life in unexpected ways. July’s story is astonishingly unique. You’ve never heard ... See More anything quite like it- I if you’re like me, you won’t be able to get it out of your head. Tune in! This week’s episode is brought to you by Ritual, the daily vitamin for women. Think of it as the multivitamin, reinvented! Taking my Ritual vitamins is my very favorite daily habit- a healthy, easy-to-keep resolution for 2019. Start your Ritual today by going to ritual.com/EASYCHAIR today!